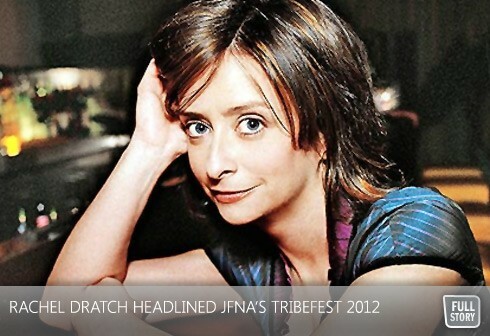 “Convening with other Jews is one of the most important things we can do to keep Judaism alive,” comedian and former Saturday Night Live star Rachel Dratch told the audience recently at The Jewish Federations of North America’s (JFNA) TribeFest 2012. Dratch’s comments were met with passionate cheers from more than 1,500 young Jews from around North America, including Toronto, who came to the Venetian Hotel in Las Vegas to be part of a groundbreaking event aimed at engaging the next generation of the Jewish community. TribeFest 2012, which ran from March 25 to 27, offered thought-provoking, inspiring programming on politics, philanthropy, business, entertainment and culture in the Jewish world. Participants heard from headliners like Dratch, best-selling humorist and author A.J. Jacobs and Olympic gold-medal swimmer Lenny Krayzelburg, and listened to stories of people whose lives have been transformed by the collective impact of Jewish Federations and other organizations. Through social media like Facebook and Twitter, TribeFest’s enthusiasm prompted more than 50 people to register – some for just one day – after the program had already begun. Speakers ranged from celebrities like Dratch and Jacobs to Jewish innovators and social activists. Jonny Imerman and Rochelle Shoretz spoke of their respective organizations to help Jewish cancer patients. Hadas Malada-Matsree, an Ethiopian-Israeli, told her story of becoming a medical officer in the Israeli Air Force. Filmmaker and lawyer Brooke Goldstein and former Israeli journalist Stav Shaffir presented about their experiences in social activism. Many of the sessions offered strategies for TribeFest participants to implement in their own communities. “Next Gen in the Shark Tank,” inspired by ABC’s “The Shark Tank,” for example, featured a contest for the most innovative program aimed at engaging young adults. Other sessions highlighted successful programs in communities around North America. TribeFest’s innovative format fostered social interaction and learning. In the "Big Show" exhibit hall, hit Jewish musical acts from Israel and North America like Hatikva 6, Moshav, Diwon and Aya Korem took the stage each evening, while participants danced, networked and visited the booths of partner organizations featuring ideas on everything from Jewish art to Israel experience programs. The program also stressed Jewish community service, including one morning when more than 600 young people awoke early to deliver backpacks filled with over 6,000 books to young children in the Las Vegas public school system through a service project sponsored by PJ Library and the Jewish Federation of Las Vegas. Jewish Toronto says goodbye to a "Gute Neshame"